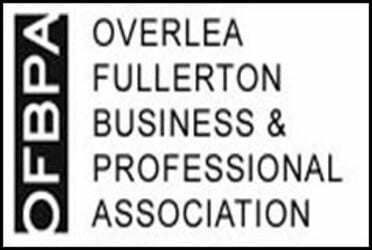 The Overlea Fullerton Business & Professional Association is planning something big. The professional networking organization is planning a mega-event of sorts to be held on Saturday, September 24, 2016. The “Shred Day” portion of the event will see Iron Mountain on-site for all shredding needs. The cost to shred is free, but the organization is asking for a food, toiletry or school supply donation for each box. All donations benefit the Eastside Family Shelter located at Franklin Square Hospital. There will also be a food, toiletry & school supply drive to benefit the Eastside Emergency Family Shelter. High-demand items include paper plates, plastic ware, personal hygiene items, toiletries, wipes, baby items, juice boxes, pudding cups, and children’s cereal. School supplies are also welcome for grades Pre-K through twelve. There will be a community yard sale as well, and spaces will cost $10. The spaces will consist of two parking spaces. Participants should bring their own tables, chairs and tents. Lastly, there will be a “Small Business Saturday” component to the event, where participating companies will be able to hand out business cards, menus, brochures, flyers, etc. The event will take place from 9 a.m. to 1 p.m. on Saturday, September 24, in the Fullerton Plaza at 7927 Belair Road. For more information, visit www.ofbpa.com.